MirroCool discussed the best options for our Kickstarter with the experts at BackersHub and this is what we came up with: 10% rebate on our MirroCool product. That’s right, our product is already discounted during our awesome Kickstarter campaign (on some pledge levels, you can save up to $259.00!) but when you combine MirroCool with BackersHub, we are offering an even better discount to help you save those hard earned dollars. This all comes back to: why should you contribute to MirroCool’s Kickstarter campaign? Not only will you receive substantial discounts on our products, but the product that you will receive is INCREDIBLE. Who wouldn’t want to say they have the world’s smartest mirror in their favorite rooms of the home? 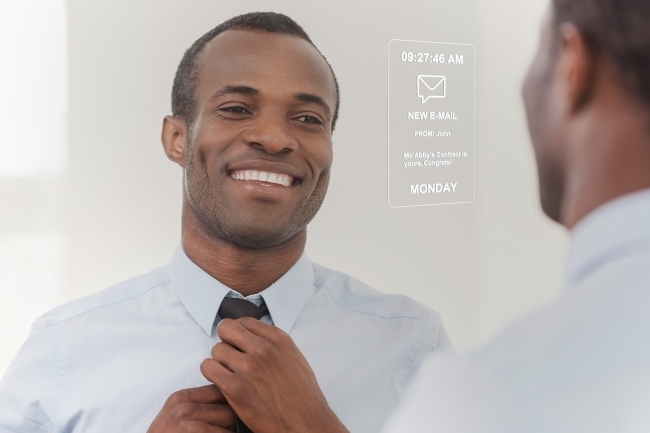 MirroCool's proprietary Facial and Gesture Recognition technology (FGR) turns this mirror into a hands- and voice-free, personalized smart mirror that increases your productivity, allows you to take selfies, and can alert you to intruders depending on where it is placed. All you need to do is smile, wink and blink. It really is that easy - almost anyone can use it! And with some of the most advanced technology in the smart home world, MirroCool will impress your tech savvy buds, selfie lovers and those that simply need a little more productivity in their lives. With only a few days left, don’t miss this chance to snag MirroCool while it lasts by clicking here! Most importantly, MirroCool has come out with a HUGE update that we just revealed on our Kickstarter updates page. If you missed it, we’ve changed our MirroCloud plan to include 5GB of MirroCloud storage for as long as you’d like - absolutely free. If you have already contributed to our campaign, don’t fret. The MirroCloud FREE 5GB account can be used for all your own MirroCool registered user. If you have already backed our project, you are automatically eligible and will not need to apply. We have teamed up with Kickbooster so that you can earn rewards for helping us spread the word. Click the link below to check out our Kickbooster page for more information on this great offer and register as a Booster!